Advances in technologies will result in workforce shifts and a youth bulge grappling with the lack of productive employment. How will the network respond to a falling ratio of employment to population and, support communities and young people to adapt to a new world of work? Advancements in technology such as artificial intelligence (AI), robotics, automation, and quantum computing have observers heralding a coming “Fourth Industrial Revolution”. Countries around the world are eyeing the possible implications that these advances may have on their economies and labour force.  Previous revolutions in the modes of production, from heavy industry, telecommunications and electricity, and digital computation, all created new types of jobs in the long-run while displacing countless ones in the short-term. 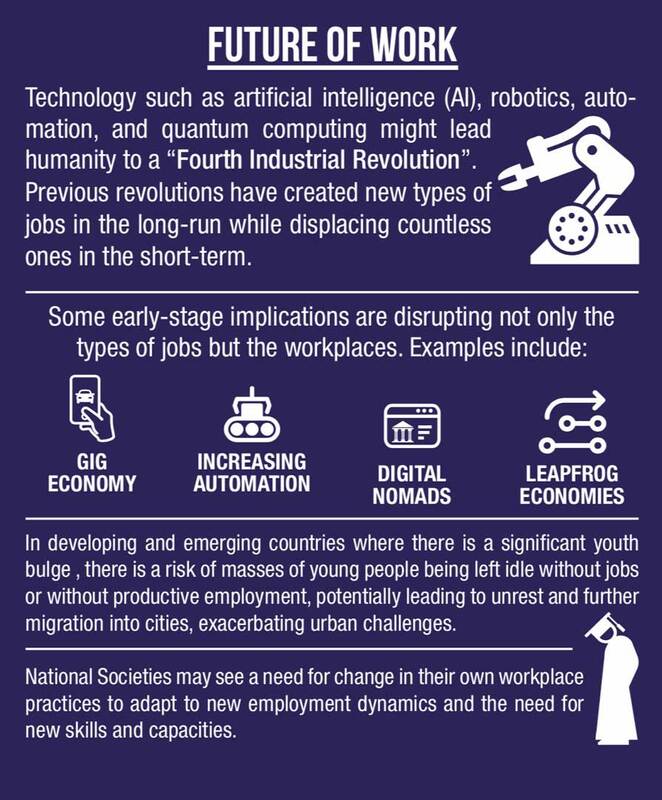 Some early-stage implications can be seen in the growing gig economy, leapfrog economies, increasing automation, digital nomads, accelerated technology and artificial intelligence that is profoundly disrupting not just what types of jobs are going to be available in the future but also the types of workplaces. Profound employment displacement, particularly in the fragile economies of parts of Africa and Asia, is predicted. With 1.36 billion people, China, potentially, could face more than 600m people in search of new ways to work and live, if it keeps up with Western automation levels. Unlike much of the 20th century, we are now seeing a falling ratio of employment to population, and many of the underlying trends in technology are likely to accelerate from the computerization of production processes to the disruption of jobs in the service industries. In Africa, where the youth bulge is emerging, there is a risk of masses of young people being left idle without jobs, potentially leading to unrest and mass migrations into cities, further exacerbating urban challenges. Further, in middle-income countries, it is not simply a question of demand and supply of jobs in the market, but an issue of youth disinterest in the types of jobs available. Increasingly, young people and graduates are not interested in working for an employer, but rather focus on entrepreneurialism and creativity in how and what they do for work. How can the RCRC rethink skills generation and livelihood/entrepreneurship programs in terms of skills and jobs of the future? How can we support our youth volunteers to develop the skills and competencies needed for future employment opportunities? How will shifting patterns of work affect people’s capacity to volunteer and engage with us? Will they have more time available or will they be consumed with moving and finding employment opportunities? How can we engage with mass numbers of young people in urban centres who are under- or unemployed and who need support across a range of domains? How might our internal HR strategies and planning need to evolve to take into consideration implications around the future of work and to ensure that we attract a strong, highly skilled, creative and motivated workforce? Are there other elements to this trend that we should be considering? How do you think it will affect vulnerability and the Red Cross and Red Crescent?